Bookshop.uk.com is a bookseller member of Hampton Bond International - publishers devoted to creating high quality fiction, non-fiction and children’s books. By special agreement we sell the latest books from Hampton Bond International on a global scale. Our online bookshop allows customers to swiftly browse the available titles and order with ease. We are extremely proud of the high quality of books that we sell and ensure that as much information as possible is available in order to help customers make informed shopping decisions. Not only do we display book front cover images, but we ensure that published titles display sample inner pages and the back cover. A picture can tell a thousand words! A tremendous amount of care and effort is put into books published by Hampton Bond International, with every detail being of the greatest importance. Whether it’s for your own book collection or a gift to someone special, a Hampton Bond Book is always memorable. Bookshop.uk.com has been specially selected as an official 2014 bookseller for the eagerly anticipated anthology Colours of Childhood (ISBN 9781909555600) - a unique anthology devoted to childhood. Featuring over 100 poems and 100 celebrity contributions, it’s undoubtedly a tribute to childhood and its many colours. Visit www.coloursofchildhood.com for further information. 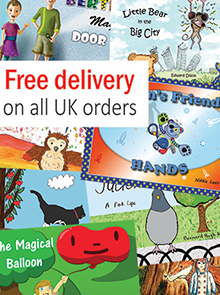 Thank you for visiting bookshop.uk.com and we hope that you enjoy your shopping experience.